I love cooking, and I love food markets, I’m not someone with an eye for antiques, so although I love the brocantes (flea markets) here, it’s the food markets that get me going each time. One of my favourites is the covered market in the old town at Poitiers. This is a lovely cheese shop inside the market, they are very generous with tasters! There’s an abundance of fish stalls, butchers, poultry, delicatessens – the smell is wonderful! The market sprawls outside where there are stalls of fruit, vegetables, and herbs. 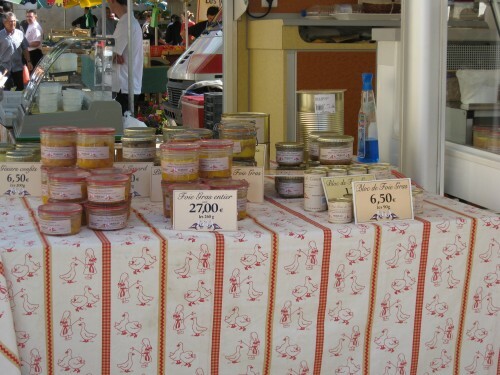 Some are just selling fois gras or a handful of homemade cheeses. Back home with our bounty, Pete cooks the fish course. 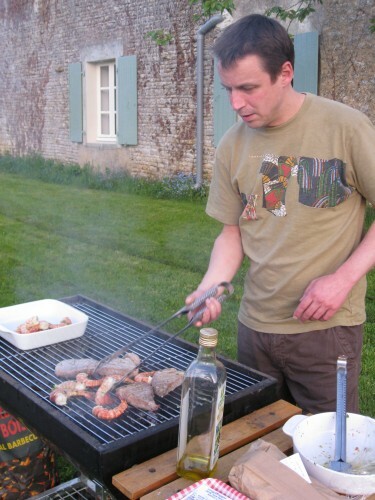 Want somewhere to stay whilst you explore markets and experience the gastronomic delights of SW France? Take a look at our gîtes…..